Just updated Sarah Bodman’s inventory on our web site with new books. You may remember her solo show here at 23 Sandy a couple of year ago. (Hint….Lady Vengence) Sarah is not only a talented, productive book artist but she is also a research fellow at the Centre for Fine Print Research at the University of the West of England, where she runs projects investigating and promoting contemporary book arts. Sarah is also the editor of the Book Arts Newsletter a vital (and free!) monthly book arts resource published at the CFPR; and the Artist’s Book Yearbook a biennial publication on contemporary book arts, published by Impact Press. She is the editor of The Blue Notebook journal for artists’ books, and writes a regular news column on artists’ books for the ARLIS UK and Ireland News-sheet, and for the journal Printmaking Today. 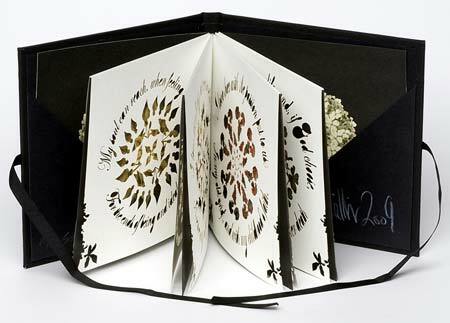 She is also the author of Creating Artists’ Books, a fantastic how-to book arts book. Check out Sarah’s work at this link. She’s amazing! And, here’s a great incentive! 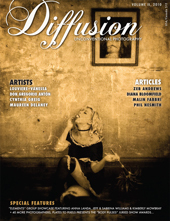 One photographer will be awarded the “Portfolio Prize” by Diffusion Magazine, which will feature the selected winner’s portfolio in a two-page spread in their next issue. We are big fans of this gorgeous photography magazine about “unconventional photography” which is published by a very talented Portland photographer named Blue Mitchell. Photo Alchemy is a juried exhibition of alternative process photography that seeks to showcase the revival in alternative process photography. In recent years contemporary photographers have been taking a fresh look at early printing processes—from cyanotypes to daguerreotypes, these deep, dreamy images bring a unique style and surface to a photograph that can’t be achieved digitally. As darkrooms disappear we are looking for work made by artists who are exploring alternative process photographic methods‚ either as a response to the digital age or simply as a creative tool. You can find the complete call for entries for Photo Alchemy here. But, hurry. Deadline for submissions is tomorrow, Tuesday at midnight. Another Reason to Join the Photo Council! Bea Nettles, an influential artist who employs a wide range of photographic techniques ranging from cyanotype to dye transfer, has been creating autobiographical photographs and books since 1970. A graduate of the University of Florida and the University of Illinois, Ms. Nettles has taught at the Tyler School of Art at Temple University and the Rochester Institute of Technology. Currently she is Professor Emerita the University of Illinois, Champaign-Urbana. She has had over 50 solo exhibitions of her work, and her photographs are in the permanent collections of many institutions including the Museum of Modern Art, the Metropolitan Museum of Art, the Center for Creative Photography, and the Portland Art Museum. You may remember … Bea Nettles was featured with a solo show here at 23 Sandy Gallery way back in September of 2007. You can see an online catalog of her show here and you can still purchase Bea’s images from the gallery as well. Click here for more information on how to join the Portland Art Museum Photography Council. 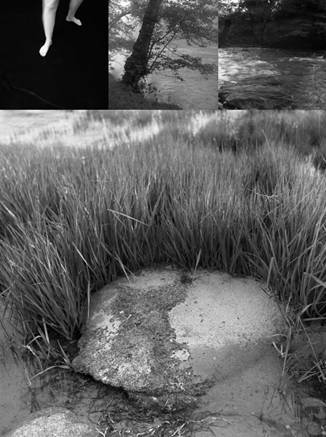 Above image: Bea Nettles, from the series Return Trips. © Bea Nettles. Alternative Process Photographic Artist Books? Several book artists visiting 23 Sandy Gallery at the Codex Book Fair this week have expressed an interest in the Photo Alchemy show but were unsure if artist books were eligible for entry. Yes! They are. If you make artist books using alternative process photography we’d love to see them. Photo Alchemy exhibition seeks to showcase the revival in alternative process photography. These deep, dreamy images bring a unique style and surface to a photograph that can’t be achieved digitally. Book artists also have a strong interest in alternative process photography as an image medium. We’ve seen artist books made from everything from cyanotypes to pages of glass negatives and can’t wait to find out what you’ve been up to. Find a complete prospectus and call for entries for Photo Alchemy here. Artist Reception, February 4, 5-8:00 p.m. Please join us for an artists reception for Photo Book Works, tomorrow, First Friday from 5:00 to 8:00 p.m. Stop by for a fun evening and scope out our new show! 23 Sandy Gallery is very pleased host this international exhibition of hand crafted artist books incorporating photography as a primary image medium. Photo Book Works was first presented at Abecedarian Gallery, a book arts focused gallery in Denver, Colorado in November of 2010 and was juried by Mia Semingson, a photographer, book binder and art instructor at the University of Colorado. 23 Sandy Gallery is pleased to host this stellar exhibition, which includes the work of 31 artists from the United States, Great Britain, Switzerland and Australia. Click here to view an online catalog of Photo Book Works.